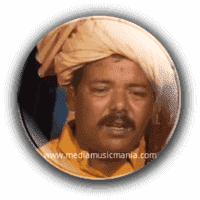 Mohan Bhagt Sindhi Folk Music Singer. He was most popular Sindhi Singer, he sung lot of great songs in Sindhi language. He was very popular Artist of Therparker Sindh. He sung Sindhi Kalaams, Sindhi Kaafi's, Sindhi Wai of "Hazrat Shah Abdul Latif Bhitai R.A" and other poets of Sindh. He started singing in Sindhi root areas, in marriage ceremonies and other local functions in Sindh. His was most popular Artist of Radio Pakistan Hyderabad and Pakistan Television. Mohan Bhagat was great Sindhi Singer and he created great name in Sindh Music. Mohan Bhagat played Classical Music, Sindhi Folk Music, Sindhi Sufi Music, Sindhi Lok Music he was great Sindhi Singer of Radio Pakistan and Pakistan Television. I have selected below most popular Classical Music of Mohan Bhagat. Mohan Bhagat from Therparker Sindh, he was popular Sufi Music Artist of Sindh and he sung "Wai Bait". He sung poetry of Hazrat Shah Abdul Latif Bhitai RA in new style selected from "Shah Jo Raag" and other style with "Sindhi Arfana Kalam". He was very popular from Town to Village and sung on Shrines of Sufi Sindhi Buzrigs and Mela Mehfils. Most popular Sindhi Kaafi "Sertiyoon Aai Ta Wanjo Re Wanjo Mohinjo Lekh Lakhan Saan" sung by Mohan Bhagat on PTV still this song is very famous in all over Sindh.